So, I just went to Vin+ earlier and met a bunch of cool people from the agency and Mercedes Benz Indonesia. Apparently, Mercedes Benz is holding a fun competition called #StarChase Photo Competition. It is ongoing now and TOMORROW IS THE LAST DAY to join (November 22-27th, 2014)!! There will be a total of ten (10) winners for this competition. 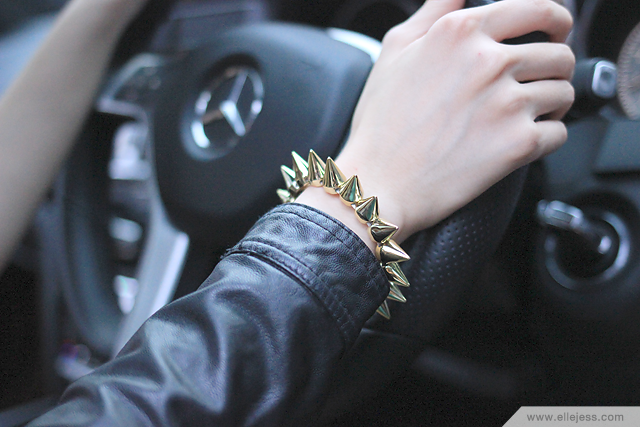 One winner will be treated to a luxurious shopping experience from #MercedesBenz. If you are one stylish woman you will get Louis Vuitton and if you are man, you will win Hugo Boss. There are also luscious gadgets for nine other winners! Here comes the fun part. 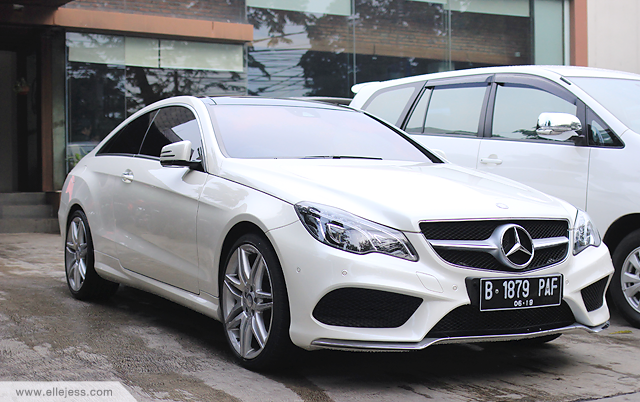 Mercedes Benz team is going ’round town (in this case, Jakarta) to park their gorgeous rides. All you have to do is to spot one and take a stylish photo of you together with the luxurious car. I told Hans that I feel like Syahrini (a famous Indonesian celebrity), posing with a posh car like this HAHAHA. I drive both manual and automatic cars since I was 14 years old, so driving an automatic car like this is a treat for me (ya feel me, manual car drivers??). 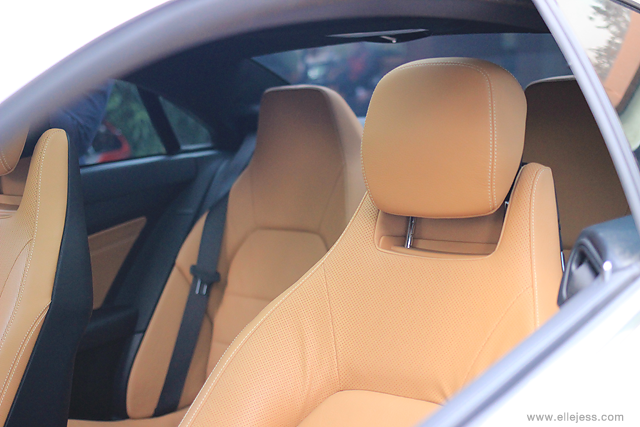 Loving the classy interior of this car as well. As you can see, Vin+ was the designated venue when I went for this #StarChase Competition. The last time I went there was on 2011… I guess? With Elle. It was one of our girls’ night outs, just the two of us haha. Most of the time, we stay home watching movies, so rare opportunities like this, we ought to preserve lol. So cool and lovely, your heels *0* So want !!! I love all of the photos <3 you looks so gorgeous ci! Stunning photographs! 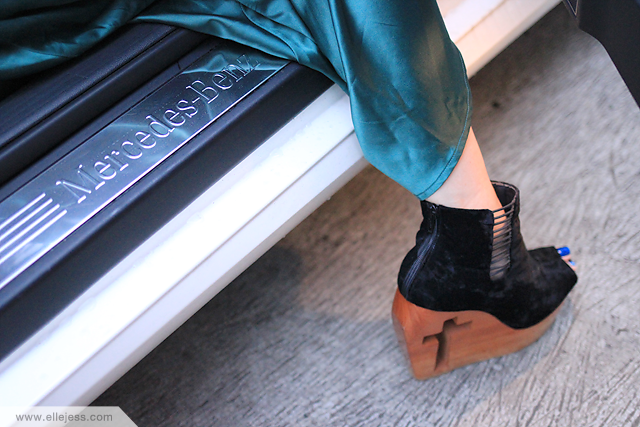 I am obsessed with your wedges! Your blog is so good!! Checkout mine http://www.sasadebora.blogspot.com <3 DON'T FORGET TO JOIN THE MEMBER! Luxury cars are expensive because they have lots of extras. For one thing, driving these cars is a lot more comfortable than driving anything else. The cabin of infiniti models is very comfortable and it is a quiet ride all the time.